Central House in Aldgate – currently home to The Cass Faculty of Art, Architecture and Design – has been sold to a property developer as part of the London Met's relocation plans. London Met University has confirmed that it has gone through with the controversial sale of Central House, currently home to The Cass Faculty of Art, Architecture and Design. The building has been sold to the property development company Frasers Property (UK) Ltd for £50 million. Because Central House is still in use it has been leased back to the university until August 2017, when students at the faculty will transfer to a new site on north London’s Holloway Road. The sale of the faculty’s current home – dubbed ‘the Aldgate Bauhaus’ by some – is part of a £125 million project that includes the relocation of the faculty to the university’s main base in Islington. Originally built as a textiles warehouse in the 1960s, the Cass opened in 2012 with the interior remodelled by the acclaimed German architect Florian Beigel. 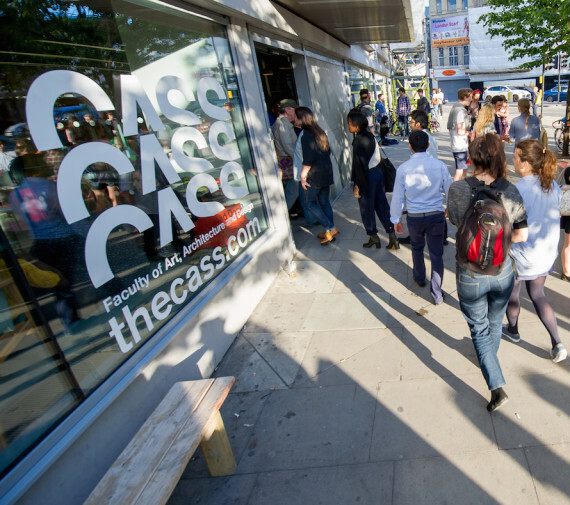 The planned move of The Cass has attracted protests from students and staff, and in December Cass dean Robert Mull resigned his position over his disagreement with the plan. Opposition to the sale of the building has been discussed in the House of Lords and attracted high-profile backing from Tate director Sir Nicholas Serota, Whitechapel Gallery director Iwona Blazwick, the architects Lord Rogers and David Chipperfield, and artist Anish Kapoor. Responding to the sale, artist and Cass associate professor/MA Fine Art course leader Bob and Roberta Smith said he was “left me feeling very sad – 100 years of art and design education in the East End killed in three months by a university that does not understand the magic of a true model of interdisciplinary creative education”. Prior to the sale, local campaigners had been trying to get Central House listed as a community asset under the Localism Act. They have said they will continue to push for the listing.